Air Liquide, a world leader in gases, technologies and services for Industry and Health, will build the world's largest Air Separation Unit (ASU) in Secunda, South Africa. With a production capacity of 5,000 tonnes of oxygen per day, the ultra-modern facility pushes the technical boundaries that have existed up to now, also with regard to efficiency, reliability and safety. 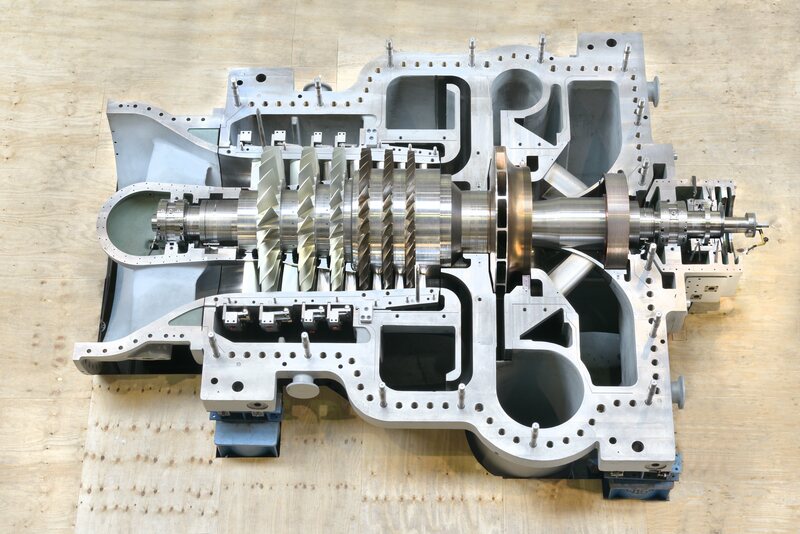 An essential component in the new ASU will be the AIRMAX compressor solution from MAN Diesel & Turbo, which will also set new records in the largest dimension constructed to date. Dr. Uwe Lauber, CEO of MAN Diesel & Turbo, commented: "In awarding us the contract for the compressor equipment for this flagship project, Air Liquide is placing great trust in us. 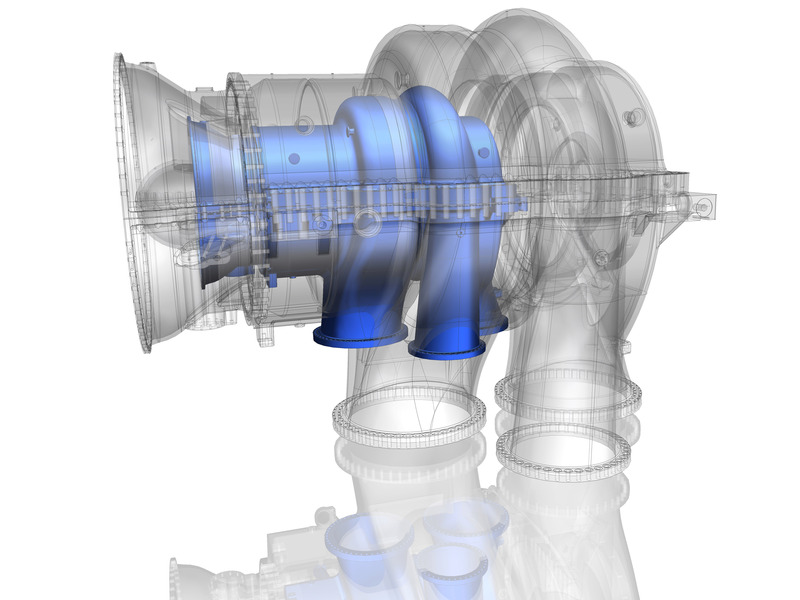 This is because we will be building the biggest axial flow compressor ever used in an industrial application. We are thus consolidating the market leadership achieved with our AIRTRAIN and AIRMAX compressor solutions for ASUs by making another significant advance." The AIRMAX solution deployed consists of a main air compressor of the AR140 type and a type RG 71-4 booster compressor. Both compressors are driven respectively by an electric motor. The AR140 is the biggest version of the MAX1 generation of axial compressors thus far. With an electric driver rated at 65 megawatts, the axial/centrifugal compressor attains an effective volume flowrate of over 1 million cubic meters of air per hour (m3/h). With an electric driver rated at 27 megawatts, the integrally geared centrifugal compressor RG 71-4 further compresses part of the air to over 40 bar abs. The RG 71-4 is designed for a maximum effective flowrate of 65,000 m3/h. The cost advantage generated by the scale of this compression solution is significant compared with the maximum sizes that are common at present which enable a production capacity of roughly 3,500 tonnes per day of oxygen. Air Liquide requires the compressed air for the ensuing rectification process. Distillation process is used to separate the air into its main constituents oxygen, nitrogen and argon. As builder, owner and operator of the world's biggest ASU, Air Liquide will supply the oxygen and other gases to Sasol, which produces synthetic fuels and chemicals at its Secunda complex. MAN Diesel & Turbo will ship the compressor system to South Africa in the second quarter of 2016. Air Liquide plans to commission the Air Separation Unit in December 2017. 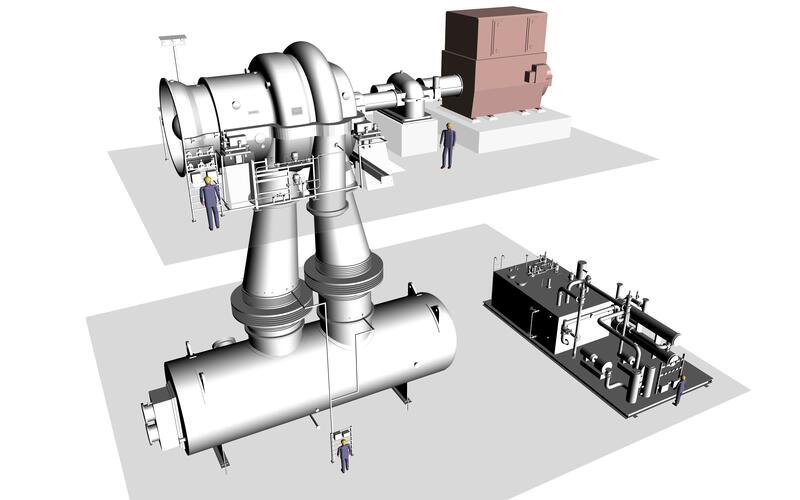 With an effective volume flowrate of over 1 million m³/h, the deployed AR140 from MAN Diesel & Turbo will be the biggest axial flow compressor ever used in an industrial application. The AR-MAX1 relies on a modular system that is designed across all frame sizes from AR100 (blue) up to AR170 (grey). Technical-wise, the AR140 is a true scale up of an AR105 (picturized).